Leave it to Diesel to throw the biggest, strangest Fashion Week bash complete with an all-encompassing guest list. The mismatched crowd seemed only fitting for an event celebrating the cool-kid streetwear brand's new flagship on hoity-toity Madison Avenue. After the in-store opening party (with appearances by Naomi Campbell and Renzo Rosso), Ladyfag took the reigns and hosted a wild after-party alongside creative director Nicola Formichetti. Housed in an extravagant mansion, the event saw lively performances by Travis Scott and Joe Jonas's new band, DNCE, as well as a partied-up Adrien Brody. With rainbow-haired club kids (of the Ladyfag vein) rubbing elbows with fashion's elite, it was one of those rare hybrid moments that could only happen during NYFW. 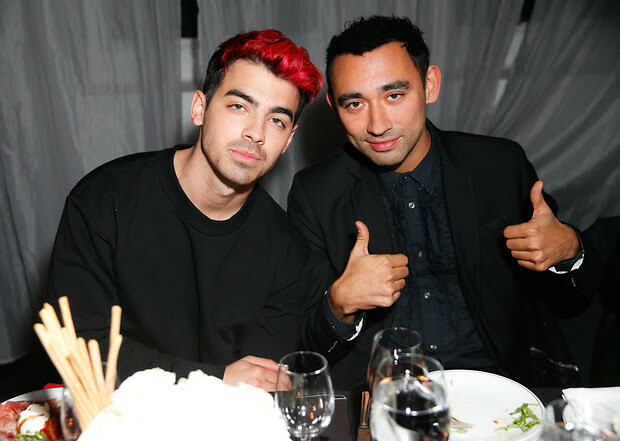 Who was there: Guests included Adrien Brody, Naomi Campbell, Joe Jonas, Travis Scott, Jasmine Sanders, Daniela Braga, LadyFag, Nicola Formichetti, Pamela Katz, Sara Cummings, Charli XCX, Eddie Schimerman, Karrueche Tran, Margot, Mia Moretti, Hannah Bronfman, Brendan Fallis, Amirah Kassem, Chloe Norgaard, Wale, Caroline Vreeland, Coco Rocha, Erin Cullison, Fausto di Pino, Olesya Senchenko, Renzo Rosso, Samantha Ciccarella, Sophia Lamar, Thomas Poulet, Sussi, iLoveMakonnen, and Alessandro Bogliolo. Go HERE for more photos by Travis Keyes!